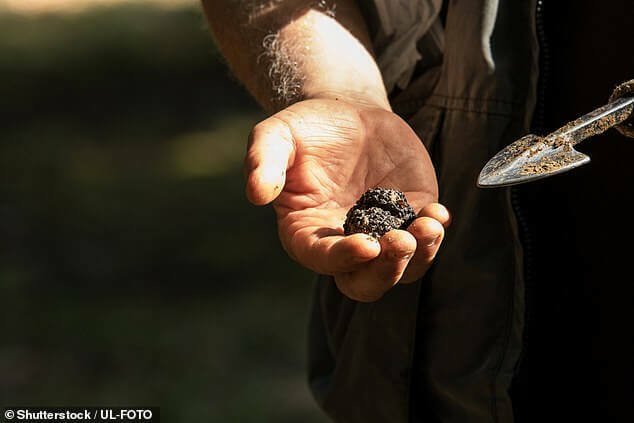 Five companies have been shut down for their part in a £9million scam which saw more than 100 people tricked into investing in fictitious truffle farms. Over the course of six years investors were told their savings were funding oak and hazel tree saplings inoculated with truffle spores at specialist plantations around the world. Investors were told the truffles would then be cultivated on a commercial scale. However, investigators from the Government’s Insolvency Service found that no harvesting or cultivation has ever taken place to date at any of the plantations. After a four-day trial, five connected companies were wound up by the High Court in London, including Viceroy Jones New Tech, Viceroy Jones Overseas, Westcountrytruffles, Truffle Sales and Credit Free. The court found that the companies devised ‘convoluted contractual structures’ and manipulated costs to secure high-value investments. For example, investors paid anywhere between £750 and £995 per sapling with the promise they would see significant returns within five years after the truffles had been cultivated. However, at the same time similar inoculated saplings were available to the public from different companies costing only £7.95 to £9.95 each. Investors were also miss-sold the investment opportunities through unsubstantiated claims, the court found. One investor was even told they could expect a 200 per cent return on their investment over a 10-year period. Investors’ funds were paid into third party offshore bank accounts. Investigators were told the majority of funds were paid as commissions, though the court said that no supporting records have been provided to substantiate this. The court also heard that Viceroy Jones New Tech used a network of unregulated financial advisory firms and targeted people that had access to their pension savings. Cheryl Lambert, chief investigator for the Insolvency Service, said: ‘The companies and those behind them have showed no remorse in their calculated plan to scam investors of their pension pots. ‘Although the Insolvency Service investigation was hampered by a lack of cooperation, the investigation pieced together the numerous layers in which the scam was wrapped. Investigators have also been able to show that significant commissions were paid to the unregulated advisors, Truffle Sales Ltd, as well as to director George Frost and his brother Brian, who was a former director of Westcountrytruffles. The last company shut down by the courts, Credit Free Limited, had not actively participated in the truffle scam, but had received funds raised in the scheme. Using these funds, Credit Free Limited paid more than £1.8million over a five-year period to George Frost and to former director, Jeffrey Hawes.